Evy first heard handbells in Omaha, Nebraska, when she was Coordinator of the North Omaha Cluster of United Methodist Churches. She had the opportunity to join a handbell choir in graduate school and has been involved with handbells ever since, directing handbell groups in several churches and communities. In addition to Arkansas Chair, she has served on the Area 6 Board as Chair Elect, Chair, and Chime Chair. She has been involved in planning state and area festivals and seminars, and has taught classes at local, state, area, and national festivals. She also serves in the Arkansas Chapter of the Fellowship of United Methodists in Music and Worship Arts (FUMMWA) and on the National Chapter Development Committee. 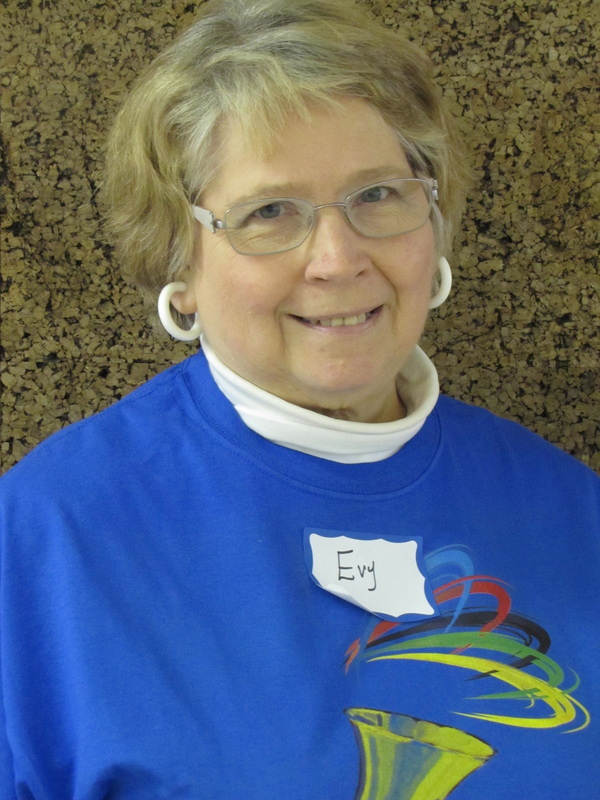 Evy is currently Director of Handbell Ministries at Central United Methodist Church in Rogers, Arkansas, and directs handbell choirs for children, youth, adults, and ensembles. She is a licensed Kindermusik Educator and also is owner/director of Shepherd Music School in Rogers.